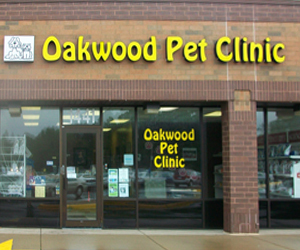 Oakwood Pet Clinic would like to take this opportunity to welcome you and your special furry family member to our website. As you continue to browse and explore our website, it is our hope that you will learn more about our dedication to your family and the quality veterinary medicine and service we provide for cats and dogs. We are committed to providing exceptional, compassionate care to every pet entrusted to us. We understand the special role your pet plays in your family and are dedicated to becoming your partner in your pet’s health care. Our job is not only to treat your pet when he or she isn’t feeling well, but also to help you learn how to keep your best friend happy and healthy. Keeping your pet healthy means being pro-active in their care. We’ll take the time to talk to you about caring for your pets throughout their lives.